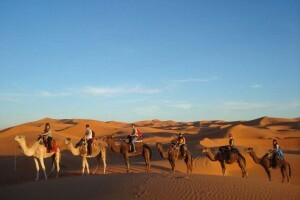 Description of Tour : 2 days trip from Marrakech to Zagora desert. • Explore a panoramic mountain pass, crossing through the High Atlas mountains via Tizi N’Tichka pass, 2260 m altitude. • Visit of the kasbah Ait Ben Haddou. World Heritage site of Unesco. 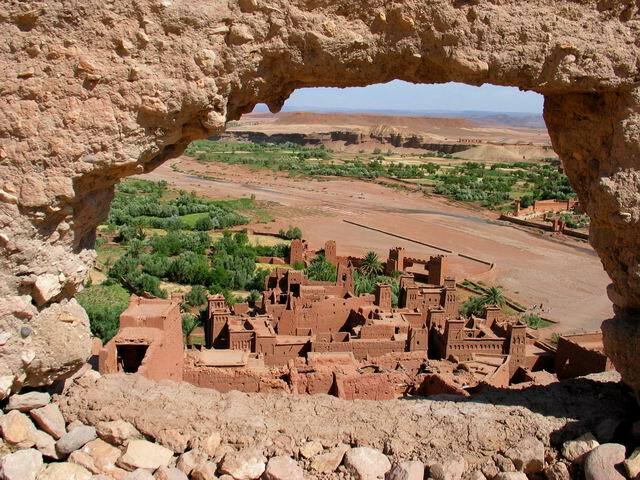 • Explore the charm of Ouarzazate city. • Pass through Berber village ‘Agdez’ and ‘Draa Valley’. 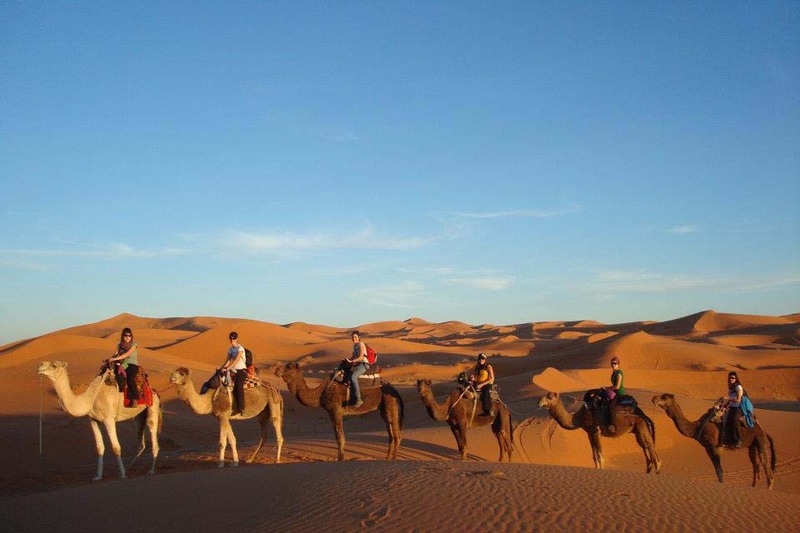 • Experience dunes of Zagora by camel and watch the beautiful sunrise and sunset. • Magical night, around fire at the camp after a traditional dinner. Itinerary of 2 days trip from Marrakech to Zagora Desert. Day 1: Marrakech – Ait BenHaddou – Ouarzazate – Draa Valley – Zagora desert. Our 2 days trip from Marrakech to Zagora desert departs from Marrakech around 8:00 am, from your Hotel/Riad by A.C 4×4 vehicle. We will cross the High Atlas Mountains, we reach Kasbah Ait Ben Haddou, where many Hollywood films take place, like ‘Mummy and Gladiator’. There is a possibility to visit the Kasbah and Atlas film studios during the 2 days tour. After visiting most beautiful sights of Ouarzazate, we continue driving through the Draa-Valley and its beautiful Oasis. We will reach Zagora in the late afternoon, we take a camel ride to the desert camp with fantastic sunset view in dunes. You will spend night in berber nomadic tent including delicious local dinner in camp and fantastic moments after the dinner around fire. Day 2: Zagora – Draa Valley – Ouarzazate – Marrakech city. After breakfast, we take early morning camel trek going back to our vehicle in hotel. Ready yourselves then we package our luggage and start our second day tour backing to Marrakech. We return back to Marrakech city taking the road through the Draa-Valley, Ouarzazate and the Atlas Mountains with many beautiful stops on the way for taking pictures and breaks. 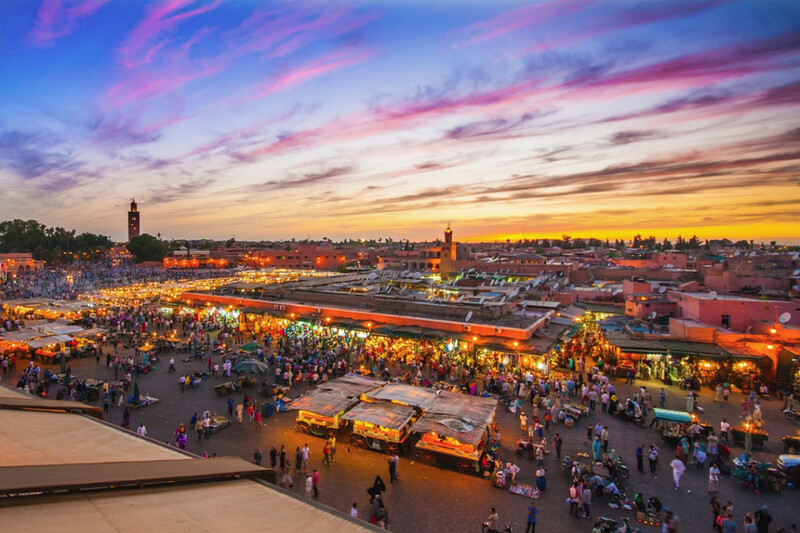 We reach Marrakech around 6 pm or 7 pm depending in our stops. Then drop you off in your Hotel/Riad, the end of our service; 2 days trip from Marrakech to Zagora desert.